Want to go exploring? well then this free camping off roader is the beast to do it with complete with Full Independent Suspension, high ground clearance & mudd tyres is ready to hit the dust. Please call and inspect as you wont be disappointed. Want to go exploring? 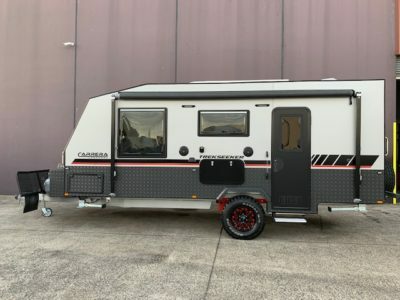 well then this free camping semi off roader is the beast to do it with complete with Full Independent Suspension, high ground clearance & mudd tyres is ready to hit the dust. Looking at going down dirt roads with the whole family well this is the van to do with, high ground clearance, all terrain tyres and Independent Suspension. What an attractive van that includes tool box, Bike Carrier, 2 Jerry can holders, 2 Battery’s, 2 Solar Panels. Please call and book your inspection. Want to go exploring? 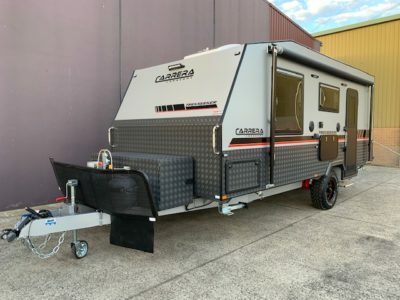 This go anywhere Off Roader is fully loaded with Options such as slide kitchen and Slide out Webber Q BBQ, On board Cummins Generator with 4oo Amp Hour Battery & 4 x 150 Watt Solar Panels complete with Full Independent Suspension, high ground clearance & all Terrin tyres is ready to hit the dust.